Sitting at the intersection of tradition and innovation, footwear boutique Zeha Berlin puts a contemporary spin on time-honoured designs. 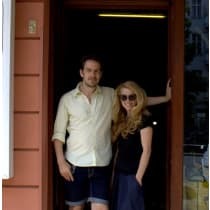 The boutique was conceived when owner Alexander stumbled across a pair of trainers by Zeha - a footwear brand from the former German Democratic Republic that ceased production in the 1990s - at a flea market. He decided to revive the brand in his local neighbourhood of Prenzlauer Berg, and the rest is history. "We believe that customers will want a more personalised shopping experience in the future, along with unique, long lasting products."